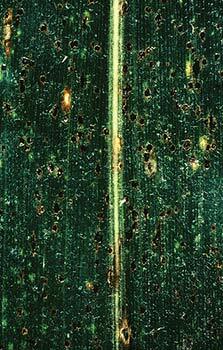 For Latin America, the tar spot complex (TSC) disease affecting maize is of particular importance. Yield losses exceeding 50 percent annually have recently been noted in Colombia, El Salvador, Guatemala, Mexico and Nicaragua. CIMMYT has released varieties in Colombia, Honduras and Nicaragua which are moderately tolerant to tar spot. Now MAIZE is funding research on the disease through its Competitive Grants Initiative; a first project will identify the best strategies for deploying maize cultivars with resistance to TSC as a cornerstone of sustainable practices for managing TSC and minimizing disease impacts on yield in Central America and Colombia. It will also complete the training of at least 250 maize growers in Central America on the best practices for management of tar spot complex of maize by 2015. For a region with annual yields estimated at 3 tons per hectare (t/ha), this represents 1.5 t/ha of potential impact if disease is properly managed. TSC results from a synergistic interaction of three fungi. Another research project will determine the mechanisms of resistance to Phyllachora maydis and Monographella maydis and identify novel sources of resistance to TSC disease in maize in Mexico and Central America by 2016.